Contemporary fans are fans that are designed with a sleeker and leaner look for the contemporary themed room. Fans used to be large and bulky with very little variety in the materials being used. Minka Aire ceiling fans have broken this barrier and changed these stigmas. Their contemporary fans can blend seamlessly into a room’s décor. They can become the conversation and center piece of the room they are placed in. If you are looking to have a functioning fixture that does not take away from your room, then these sleeker steel fans will be exactly what you are looking for. Their modern and elegant designs create function without distraction. If you want a conversation piece, then there are many fans that are designed to demand attention. These fans are large and out of the box when it comes to build and design. Their beauty is second to none, and they instantly create a focal point to any room that they are placed in. It is no longer the era when a single fan is placed in the center of a room. 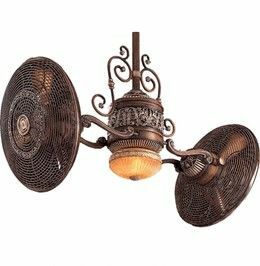 If you have an abnormal shaped room or simply do not want a large fixture, smaller fans will work beautifully. When placed correctly, a number of smaller fans or a well placed single fan will move the air around your space quietly and effectively. The look of smaller fans also works well for specific interior designs. These Minka Aire ceiling fans remove the single focus point and creates an elegant overall look and feel. Fans are no longer created simply for indoor use. 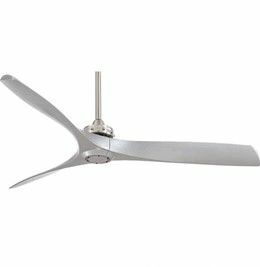 Minka Aire ceiling fans have a line of outdoor fans that are designed for patios and for other outdoor living spaces. Fans are designed to cool as well as heat. For those who enjoy decks and patios, these fans are for you. The fans will cool during hot weather and warm during cooler spells. They are designed to work effectively in areas that do not have solid walls, but that still require function as well as fashion. When it comes to Minka Aire ceiling fans, the options are endless. These are only a few of the lines of designer fans that are available to you. The best thing to do is decide what kind of fixture you need for your space and your design ideas. Imagine what will work best in that area. Do you want a centerpiece that becomes the topic of the room or do you want something small and efficient that still upholds ultimate comfort levels? Minka Aire ceiling fans have no limitations; do you?